Last weekend I rode downtown to catch the Christmas Parade with some friends. 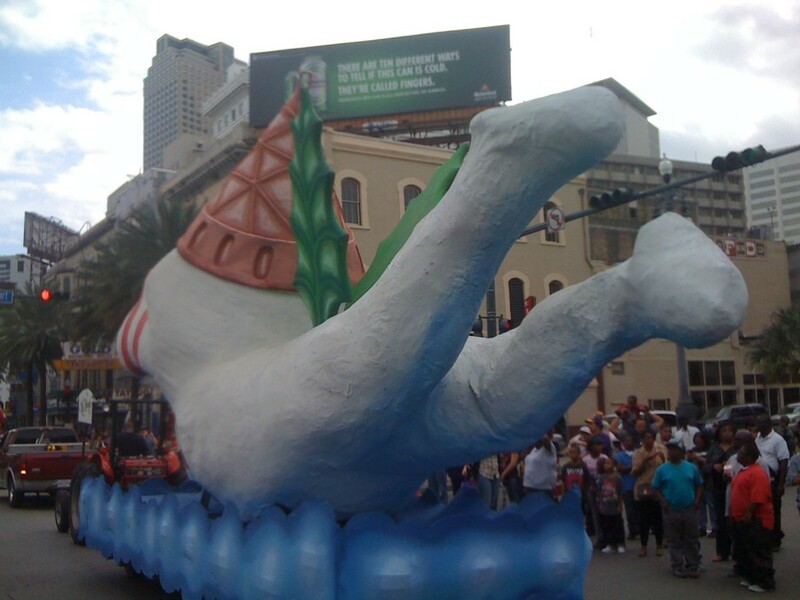 I am not sure why I was so surprised to find out that a Christmas parade in New Orleans involves hip hop music and beads and cups being thrown, but it was a lovely surprise. The traffic was atrocious, so riding was just perfect. My favorite part? 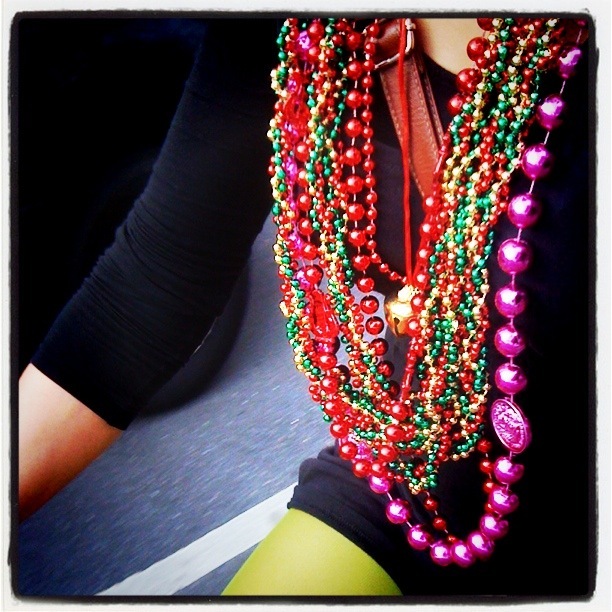 Riding home with tons of beads around my neck and toys and cups on my rear rack and no one blinking an eye. Merry Christmas from New Orleans, y’all!